Greta woke around midnight. The fire had burned down and Hans was not there. At first, she thought he must have stepped off to relieve himself. She put two good sized logs on the fire and stirred the ashes to life. Those logs ought to see them through the night. She did not like the forest at night. It got too dark, with the moon and stars hidden by the branches. “Hans?” Greta called after a while. Hans did not return, and she started to get worried. “Hans?” She called again a little louder. At last she got up and walked all around the camp, peered into the gloom as far as she could and looked for any sign of her brother. “Hans?” She called. “Hans!” She began to call in earnest, but still no one answered and she began to be afraid. What if he wandered off and got lost in the dark? What if he tripped in the dark and hurt or cut himself, and became unconscious? “Hans! Hans!” She called loudly when she decided she needed some distance from the fire to give her night vision a chance to search nearby. She walked into the trees until she got beyond the sound of the stream, but she felt as long as she could still see the distant firelight, she would be all right. “Hans! Answer me. You are worrying me. Hans!” She called and looked and started in a wide semi-circle around the camp. “Hans! You’re not funny. Answer me. Hans!” Only the spark and crackle of the fire responded, and the sound of the cascading water when she got near enough again. “Hans! Hans!” She really yelled, now, and begged to hear him in return. All at once, the fire went out. The light simply vanished, and the sound of the waterfall vanished as well, as if someone turned off the faucet. She felt something behind her and she spun around several times screaming, “Hans! Hans!” Until her direction became utterly confused. She stopped calling for a minute. She stilled her heart and breathing. She listened to the dark. Somewhere in the distance, a wolf howled. Greta cringed. If Hans was in trouble, he needed her. But if she headed toward the wolf and Hans was not there, would she simply be walking herself into those jaws? She waited, and another wolf responded to the first, only this one sounded out behind her. Now she felt completely confused. “Hans!” She screamed as loud as she could. 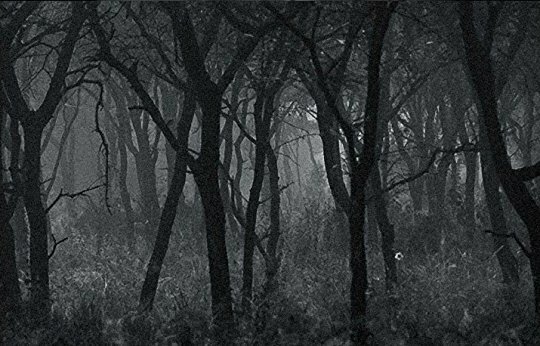 She tried to seek help through time, but time seemed as silent as the forest in the night. The message that came through was there was nothing anyone could do for her that she could not do for herself. That felt like a lie, she told herself, as she continued to cry out and weep until her throat hurt and her voice became hoarse. “What can I do?” Greta wondered, and she felt herself corrected. The question became, “What will you do?” She didn’t know. Any one of the gods in time, Nameless, Salacia or Danna she imagined, could snap their fingers and Hans could appear, safe and sound beside her. But that would not happen. “What will you do?” She didn’t know what to do. She continued to weep and cry out until her voice became no more than a whisper. It felt like forever, but it did not take long after that when she stubbed her toe on a rock, tripped over a root, and fell face down in the dirt at the foot of a very large and very old oak tree. She just stayed there and cried until she could not cry any longer. Then she scooted up and put her back to the tree and whispered because it was all the voice she had left. “Old tree,” she said. “How I wish it was like the old days before the gods and greater spirits went over to the other side. If only you were here now to come out of your shell, to walk and talk with me. I would know, then, that everything would be all right. I remember the great dance of the trees in the days of Heracles. We danced for a day and a night until all of the dead land in that place came alive again and covered with green. I remember what comfort you once gave me in my hour of need, touching my tongue with your life-giving sap, salving my wounds, covering me to hide me in your protective bark. How dear you were and how deeply I came to adore you. I remember I stayed with you all the rest of those days. I remember the door you made for my Nameless self, when he was, when I was young and uncertain. You let my little ones go and warn the gods of the rebellion of the Titans in the east. Old Oak, how good and kind and gentle you always were. It is no wonder you were loved by both Zeus and Odin. And even with the mistletoe you sometimes carry, how my children, my Danna’s children, honored you above all. Greta’s eyes closed. “I suppose they are my little ones now.” She thought, but she did not think of home. She felt too exhausted. 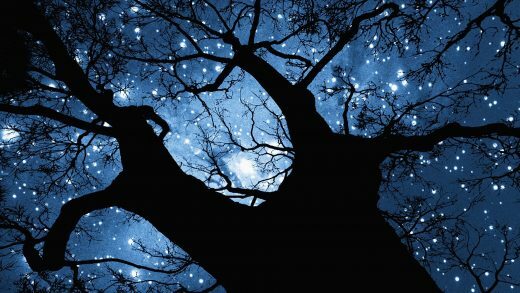 Then, for a brief moment before sleep, or just after in a dream, she thought she saw the shimmer of a kindly old face in the tree, and the branches circling gently around her in a most loving and protective way. She knew the wolf would not get at her on that night, and she slept.